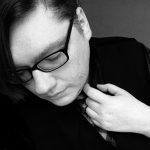 So here’s something to speculate about wildly. It’s not exactly a secret that several members of The Elite will see their contracts expire at the end of 2018, potentially leading to one of the most important bidding wars in the history of the business. This weekend, Cody Rhodes, Hangman Page, “The Villain” Marty Scurll and Matt Jackson of the Young Bucks all posted similar tweets within a few hours of each other. Each announced a brand new t-shirt available soon through Hot Topic, confirming that it would be their “final Bullet Club affiliated” t-shirt design. Now, what’s interesting about this is it could be one of a bunch of different things. New Japan Pro Wrestling currently owns the rights to the Bullet Club brand, so if any of the stars were to allow their contracts to expire without signing a new deal, they would no longer be able to use the logo or likeness, or promote themselves as members of the faction. The leading speculation is that this is just a promotional tactic, as many of them promoted the weekend Pro Wrestling Tees anniversary sale while putting over their merch. 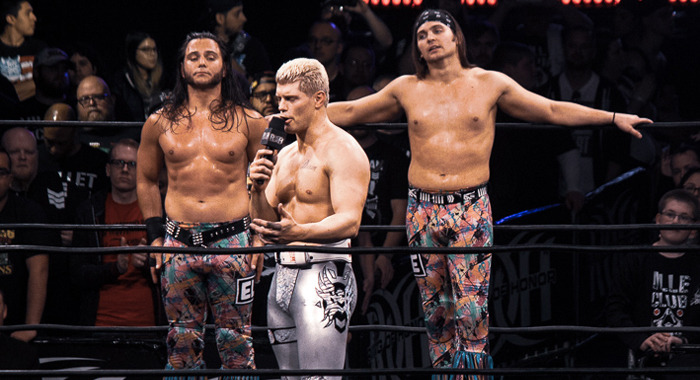 Another idea is that it’s some kind of angle for Being the Elite, as only one of the Bucks has been hearing the “ticking clock” on recently episodes, and only one of the Bucks sent out a tweet about no longer releasing Bullet Club products. A big indication that the tweets have nothing to do with their contracts expiring is that Marty Scurll, who is signed with NJPW and Ring of Honor well into next year, was a part of the group. Kenny Omega, whose deal expires with the rest of the group, did not post. It could be a combination of the contract situation, as well as the feud with the Bullet Club “Firing Squad” who are looking to take back the faction name for themselves. So if the collective stars were looking at giving up the Bullet Club life and sticking with The Elite branding exclusively, going forward, that’s also a possibility. And probably a good strategy if they’ ARE thinking about leaving and want to make sure they control whatever comes next. Finally, there’s always the chance Cody and the Gang are just trolling the internet, building up hype for a new line of merch. So there we go. There’s all the wild speculation we’ve heard going around the internet. What do you think?